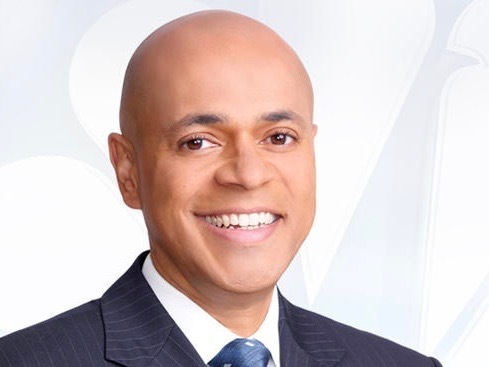 WNBC anchor David Ushery slipped up during a story about a dog that was rescued 135 miles off the coast of Thailand. Ushery caught himself mid-slipup and carried on, but the mistake was enough to send his co anchor Stacey Bell into a giggle fit. You could hear the crew laughing too. Ushery picked up the read and finished the VO. He even made a joke about it. TMZ pulled the video, which you can watch here.